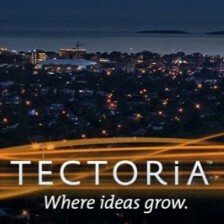 Our Tectorian of the Week is: Tectoria Venture Partners! 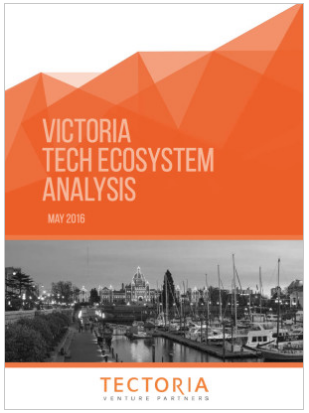 Tectoria Venture Partners commissioned and released the findings of a detailed survey on the current state of Victoria’s tech ecosystem this past week. The report, Victoria Angel / Micro-VC Fund Analysis, was the result of interviewing 41 key stakeholders in the tech community, with the purpose of gathering both the qualitative and quantitative data needed to determine whether a sizeable angel fund could be sustained in Victoria, BC. The conclusion was that the city’s buzzing tech sector could easily sustain a $20-30 million angel fund, spurring the intent to launch Tectoria Venture Partners! Tectoria Venture Partners is a new investment management initiative seeking to found an angel / micro-VC fund based in Victoria, run by Victoria’s prominent angel investors, and investing in the top high technology opportunities in Victoria and elsewhere. Click here to read the full press release and to access the report! Way to go Tectoria Venture Partners, and, TECTORIA! Our Tectorian of the Week is: Vecima Networks! Vecima Networks is a Victoria-based company which manufactures products for broadband access to cable and wireless networks. They were mentioned in the Times Colonist this week for having a solid third quarter with a profit of nearly $6 million!!! Vecima Networks is also the Entertainment Sponsor at the upcoming 2016 VIATEC Technology Awards. Make sure you congratulate them at the gala! FreshWorks Studio has been slowly and steadily defining their niche in the Victoria startup ecosystem. Samarth, Mod and Rohit Boolchandani founded FreshWorks to bring cross platform mobile and web application development with their keen sense of UX/UI design to the budding entrepreneurs. 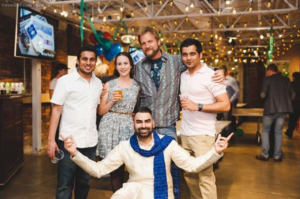 With their recent contracts to build apps for the City of Victoria, Chatterblock and the Vancouver International Wine Festival… it’s no wonder why FreshWorks Studio is our Tectorian of the Week! April 29 was the official launch party to announce their arrival in the highly competitive mobile arena. Their hard work and pursuit for excellence has been well received in the Victoria community which is evident from the rave reviews on Clutch from the past customers and the positive interactions with their current customers. Victoria’s tech community is a small tight community where word of mouth trumps any paid advertisements. Their perseverance, dedication and passion for their craft is unmatched. For them, it goes without saying that it would not have been possible without the support from the community in terms of mentorship, expertise and opportunity. Congratulations to FreshWorks Studio on their recent success! We just know it’s a matter of time before they’re among the impressive VIATEC Awards Finalists in years to come!